Just to let you all know that we do Gift Vouchers which may be of some help for that last minute pressie, far better to get something that you really want!!!!! 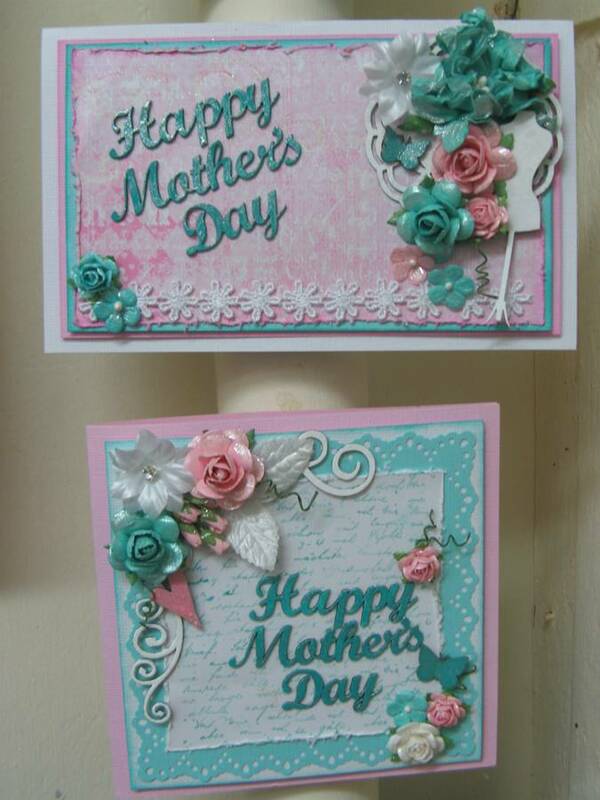 We have these cute little chipboard "Happy Mothers Day" card words available, so if you still have to make a card for Sunday , pop in & pick one up before they all go!!! We have got more "Big Shot" Machines available for $169 plus if you mention this blog post you will receive a FREE Sizzix Alphabet Die worth $37.95 at no extra cost. Also we still have six "Page of the Month" Kits left if you want one. If you can't get in, ring the shop & we can put one aside for you. This week we received lots of NEW stock of 2 Crafty chipboard "bits" made especially for cards. These are soooo nice & just the perfect size, gorgeous little minatures. We will be increasing this range too as it is proving to be very popular with all of our Card Makers, so stay tuned, more designs on the way. 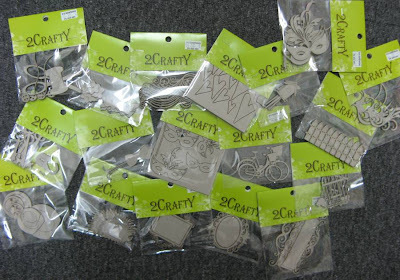 We also received some "Dusty Attic" chipboard "bits" for cards, so we really have rather a good range for our Card Makers to choose from. None of these photos do justice to these cute "little" shapes. 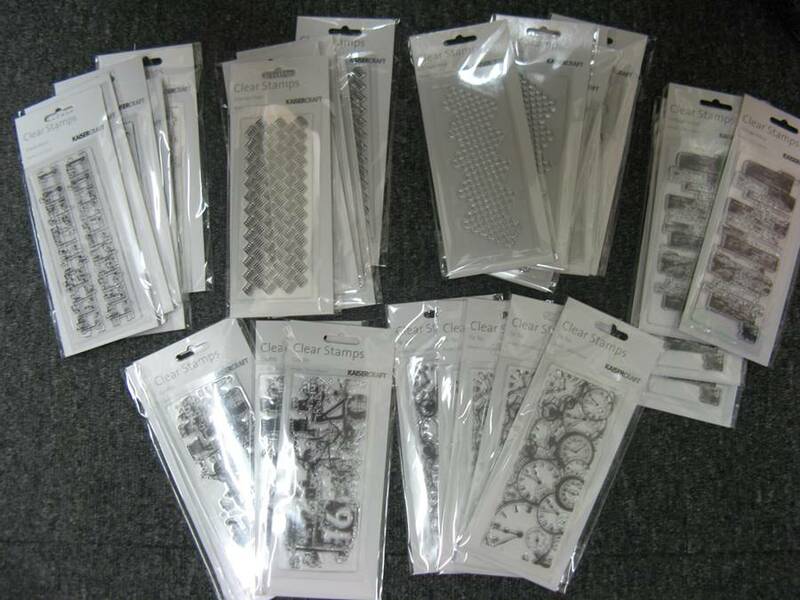 Lastly today we took delivery of some of the New Kaiser background stamps, including Graffiti, Wire Mesh, Clockfaces, Metal Checker Plate, Vintage Fence, Music Notes & more. These are great for both Scrapbooking & Cards. 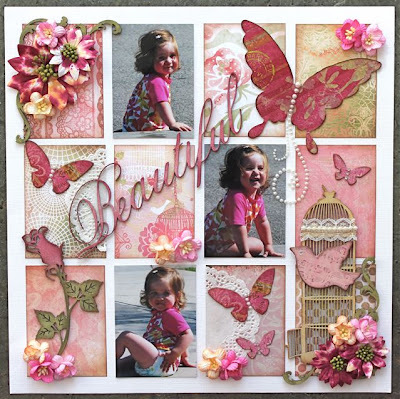 Don't forget to pop over to the Green Tara blog, click HERE, to see so many yummy pages, cards & products. It is updated every three days so there is always something NEW to see. 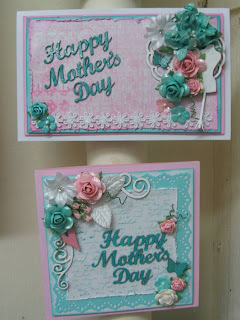 Well thats all for today, I hope you all have a wonderful Mother Days & get totally spoilt.